95.9 WRAT invites you to the Allaire Village Bacon Bikes and Brews at Historic Allaire State Park on Saturday and Sunday, September 2nd and 3rd. Swing by The Rat tent for your chance to win to cool prizes! Join the Rat as we broadcast live this Sunday at Casino Pier in Seaside Heights from 3-7pm. Look for the Rat's tiki hut we'll be playing games and giveaways for your chance at winning some cool swag! This week we'll be giving away a 4-pack of tickets to Casino Pier's Breakwater beach park. Join the Rat Pack at First Energy Park on September 3rd in Lakewood as the Lakewood BlueClaws take on the Kannapolis Intimidators for a great night of baseball with The Rat! Come see us at the Coors Light WRAT Trap! First Pitch is at 7:05 PM and we will be there with all kinds of games and giveaways like your chance at winning a pair of tickets to an upcoming BlueClaws game! For tickets and more info visit BlueClaws.com. Cruisin' Downtown Toms River C'mon out to Washington Street in Downtown Toms River and join 95.9 WRAT at Cruisin' Downtown Toms River. Admission is free and Downtown Toms River will be loaded with hundreds of classic cars and motorcycles, great food and live music. Presented by the Toms River Business Improvement District and the Vintage Auto Club of Ocean County. Sponsored by 1-800-Car Cash. Join Rat and Bud Light on Saturday, September 16th from 4 til 6 pm at Spirits Unlimited in Forked River We've got your chance at winning some cool WRAT swag! Join them for great specials on Bud and Bud Lights, games, giveaways, and more! That's The Rat and our good friends at Bud Light on Saturday from 4 til 6 pm at Spirits Unlimited located at Rt. 9 & Lacey Road, Forked River with Jersey's Rat Radio, 95.9 The Rat! Harley Davidson demo truck event that only happens once a year. Games, prizes, and giveaways. Special sales will happen all day Friday and Saturday. 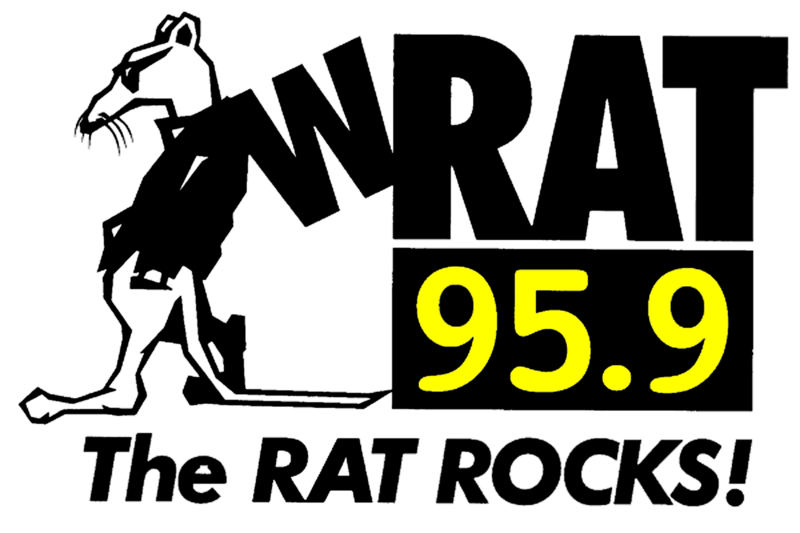 Join Rat and Bud Light on Saturday, October 14th from 4 til 6 pm at Spirits Unlimited in Toms River We've got your chance at winning some cool WRAT swag! Join them for great specials on Bud and Bud Lights, games, giveaways, and more! That's The Rat and our good friends at Bud Light on Saturday from 4 til 6 pm at Spirits Unlimited located at 941 Rt. 37, Toms River with Jersey's Rat Radio, 95.9 The Rat! Join the Rat pack on October 19 at the Rat Rest Stop located on the upper level of the Monmouth Mall from 5-7:00pm! We've got your chance at winning some cool WRAT swag! So take a break from shopping, stop in to the Rat Rest Stop, have some fun and win some great prizes with The Rat... Celebrating 20 years rocking the shore! Harvest Arts Festival Join 95-9 The Rat for a family-fun filled event for the whole family. Celebrate autumn with great food and music; inflatable rides, pumpkin decorating, apple cider donut eating contests and more. For more info, call 732-341-8738. Join Rat and Bud Light on Saturday, November 11th from 4 til 6 pm at Spirits Unlimited in Toms River We've got your chance at winning some cool WRAT swag! Join them for great specials on Bud and Bud Lights, games, giveaways, and more! That's The Rat and our good friends at Bud Light on Saturday from 4 til 6 pm at Spirits Unlimited located at 897 Fischer Blvd, Toms River with Jersey's Rat Radio, 95.9 The Rat! Join the Rat pack on November 18 at the Rat Rest Stop located on the upper level of the Monmouth Mall from 2-4:00pm! We've got your chance at winning some cool WRAT swag! So take a break from shopping, stop in to the Rat Rest Stop, have some fun and win some great prizes with The Rat... Celebrating 20 years rocking the shore! The Rat is proud to present: Seether at Starland Ballroom on November 29 Get tickets HERE! Join Rat and Bud Light on Saturday, December 9th from 4 til 6 pm at Spirits Unlimited in Point Pleasant. We've got your chance at winning some cool WRAT swag! Join them for great specials on Bud and Bud Lights, games, giveaways, and more! That's The Rat and our good friends at Bud Light on Saturday from 4 til 6 pm at Spirits Unlimited located at 3200 Lakewood Rd., Point Pleasant with Jersey's Rat Radio, 95.9 The Rat! Garden State Comic Fest @ Showboat Hotel in A.C. The RAT welcomes the Garden State Comic Fest at the Showboat Hotel on April 7th. Get tickets HERE! Look for the The RAT tent during the event for games, giveaways and more!! Join Jimmy Steal at Harley Davidson of Ocean County in Lakewood on Saturday, April 7th from 12pm till 2pm! We will be hooking you up with some cool WRAT Swag! Jimmy will be hosting their Spring Fashion Show! They’ll be showcasing the spring line from Harley-Davidson with music, games, giveaways and more! For more info on the Harley-Davidson Spring Fashion Show CLICK HERE! Join Gotts on Saturday, April 7th from 4pm till 6pm at Spirits Unlimited in Berkeley Township. We've got your chance at winning some cool WRAT swag! Get in on the special Gotts Discount!! Heineken and Heineken Light 12 pack bottles at $13.99, Also on hand; games, giveaways, and more! That's Gotts on Saturday from 4pm till 6pm at Spirits Unlimited located at 437 Atlantic City Blvd. in Berkeley Township with Jersey's Rat Radio, 95.9 The Rat! The RAT is proud to welcome: Bon Jovi and the "This House Is Not For Sale" tour at the Prudential Center on April 7th and 8th. Tickets go on sale Friday, January 19th at 10am...Get your tickets HERE! Join The RAT before the show in the Plaza for games, giveaways and more!! The RAT welcomes the Garden State Comic Fest at the Showboat Hotel on April 8th. Get tickets HERE! Look for the The RAT tent during the event for games, giveaways and more!! Join The Rat at First Energy Park on April 15th. Rocky The Rat mascot and other area mascots will be there as we celebrate Buster's Birthday. The celebration starts at Noon, then at 1 p.m. stay for the BlueClaws game! Get your tickets HERE! Join Rockin Robyn and the Rat Pack This Saturday May 5th at Circle Auto Group From 11am Till 1pm Located at 641 Shrewsbury Ave in Shrewsbury! We’ve Got Your Chance at Winning a Pair of Tickets to Check Out 30 Seconds to Mars! Swing by We’ll Be on Hand With Games, Giveaways and More to Celebrate Cinco De Mayo. Circle Auto Group-a Shrewsbury Chevrolet, Hyundai, Isuzu Dealer! The RAT is proud to present: Halestorm at the Stone Pony Summer Stage on May 12th. Get your tickets HERE! Look for the RAT Tent at the show for games, giveaways and more! The RAT is proud to present: Myles Kennedy at House of Independents on May 17th. Get your tickets HERE! Look for the RAT at the show for games, giveaways and more! Join Gotts on Saturday, June 9th from 4pm till 6pm at Spirits Unlimited in Ortley Beach. We've got your chance at winning some cool WRAT swag! Get in on the special Gotts Discount!! Join them for games, giveaways, and more! That's Gotts on Saturday from 4pm till 6pm at Spirits Unlimited located at 5 Ortley Plaza in Ortley Beach with Jersey's Rat Radio, 95.9 The Rat! Join The Rat Pack on June 10th from noon till 2pm for The Irish Festival at Monmouth Park Race Track! Swing by The Rat tent to win some cool swag. Enjoy a day filled with live thoroughbred racing highlighted by Irish step dancers, crafters, food, live music and more! Admission is just five bucks! Kids 12 and under are free! For more info click HERE! The RAT welcomes 30 Seconds to Mars at the PNC Bank Arts Center on June 21st. Look for the RAT Tent at the show for games, giveaways and more! Get tickets HERE! Join the Rat at First Energy Park, home of the Lakewood Blueclaws July 3rd as they take on the Delmarva Shorebirds at 7:05 p.m. Stop by the Rat tent, plat games and win prizes. Game Day tickets available at BlueClaws.com and at the Blueclaws Box Office. Join Gotts on Saturday, July 7th from 4pm till 6pm at Spirits Unlimited in Toms River. We've got your chance at winning some cool WRAT swag! Get in on the special Gotts Discount!! Join them for games, giveaways, and more! That's Gotts on Saturday from 4pm till 6pm at Spirits Unlimited located at 2 Route 37 West in Toms River with Jersey's Rat Radio, 95.9 The Rat! Summer Festival Join 95-9 The Rat for a fun-filled day for the whole family with live entertainment, games and prizes, with crafters and food. For more info, call 732-341-8738. Join Gotts on Saturday, August 4th from 4pm till 6pm at Spirits Unlimited in Point Pleasant. Get in on the special Gotts Discount!! Join them for games, giveaways, and more! That's Gotts on Saturday from 4pm till 6pm at Spirits Unlimited located at 1506 Richmond Ave. in Point Pleasant with Jersey's Rat Radio, 95.9 The Rat! The RAT is Proud to Present: Five Finger Death Punch & Breaking Benjamin to The PNC Bank Arts Center August 25th. Look for the RAT Tent in the Plaza doing games, giveaways and more! Get tickets HERE! Join the Rat at First Energy Park, home of the Lakewood Blueclaws September 3rd as they take on the Delmarva Shorebirds at 1:05 p.m. Stop by the Rat tent, plat games and win prizes. Game Day tickets available at BlueClaws.com and at the Blueclaws Box Office. The RAT is proud to present: Ozzy Osbourne with special guests Stone Sour at the PNC Bank Arts Center on September 10th. Get your tickets HERE! Join The RAT before the show in the Plaza for games, giveaways and more!! Join The Rat Pack on Sunday at The Rat Rest stop located on the upper level of Monmouth Mall from Noon till 2pm! We’ve got your chance at winning some cool WRAT Swg! We’ll be playing games from NJ’s own Endless Games; makers of family and party games. Check out endlessgames.com to see more! So take a break from shopping, stop into The Rat Rest Stop, have some fun and win some great prizes with The Rat! Join The Rat Pack on Black Friday at The Rat Rest stop located on the upper level of Monmouth Mall from 10am till 2pm! We’ve got your chance at winning some cool WRAT Swg! We’ll be playing games from NJ’s own Endless Games; makers of family and party games. Check out endlessgames.com to see more! So take a break from shopping, stop into The Rat Rest Stop, have some fun and win some great prizes with The Rat! Join The Rat Pack on Sunday at The Rat Rest stop located on the upper level of Monmouth Mall from 2pm till 4pm! We’ve got your chance at winning some cool WRAT Swag! We’ll be playing games from NJ’s own Endless Games; makers of family and party games. Check out endlessgames.com to see more! So take a break from shopping, stop into The Rat Rest Stop, have some fun and win some great prizes with The Rat! Magic of Lights at the PNC Bank Arts Center…Bigger and Better than ever. Over 1 mile of festive holiday lights sure to warm your hear from your own car. Multiple holiday themes come to life at every turn. At the end stop in at the Holiday Village. Tickets on sale at MagicOfLights.com. Join the Rat there from 5-8pm and play some Reindeer games with Santa Rat and the Rat Pack in the Holiday Village! Join The Rat Pack on Sunday at The Rat Rest stop located on the upper level of Monmouth Mall from 2pm till 4pm! We’ve got your chance at winning some cool WRAT Swg! We’ll be playing games from NJ’s own Endless Games; makers of family and party games. Check out endlessgames.com to see more! So take a break from shopping, stop into The Rat Rest Stop, have some fun and win some great prizes with The Rat!